It was a sad movie month. We’ve been going out doing other things AND Jason is making me watch the last season of Game of Thrones so that I will then become an addict like him. I think we have one or two more before we start the newest season. Much needed sappy teen romance. High school has new rules! 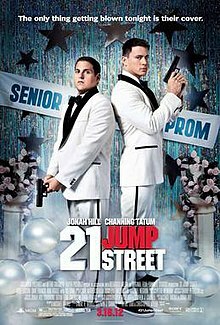 It’s been a while since I saw it, but for 21 Jump Street I’d say: Fun way to pass time. I haven’t seen either but I’m glad you enjoyed them! I haven’t seen any of the 21 Jump Street movies. I just can’t bring myself to watch, even though I know they are well liked. I think I saw an ad for the next one and it looked funny so I finally caved on watching it. It was okay. It had some very funny parts followed by lots of boring ones.